Forrester Research recently published a report on the application performance management (APM) market, titled "Market Overview: Application Performance Management, Q4 2011." Led by Principal Analyst and Forrester Vice President Jean-Pierre Garbani, the research proposes an APM reference model that customers can use to plan their APM strategies. The report goes on to evaluate 26 APM vendors, including ExtraHop Networks, in the context of the Forrester APM reference model. The report emphasizes the need for APM technology to provide comprehensive, end-to-end visibility from the point of view of the end user or business. Forrester cautions that a siloed view, and not necessarily insufficient monitoring, causes the most problems for IT organizations when troubleshooting the source of an application performance issue. "Understanding the problem location within the maze of components becomes a key feature that will expedite this very critical stage. This is where most time is wasted in problem management." ~ Forrester Research, "Market Overview: Application Performance Management, Q4 2011"
In other words, it's not how many discrete metrics an APM tool collects but the ability to make sense of that information that counts. The ExtraHop system excels at providing a correlated, cross-tier view of the application infrastructure that enables IT Operations teams to triage application performance issues faster. (Other key capabilities include excellent proactive early warning and measuring and mapping.) This ability to correlate performance metrics across tiers is why many of our customers refer to the ExtraHop system as their primary triage solution. In fact, many customers have trained their IT Operations teams to go to the ExtraHop system first when a problem arises, frequently reducing Mean Time to Resolution (MTTR) by 70% or more. Besides helping to locate the root cause of a problem faster, these teams boost productivity by eliminating finger-pointing. It's also worth noting that we were recently included among six other APM vendors in Gartner's APM Innovators report, which was published the same month as the Forrester market overview. As the APM market continues to rapidly evolve, analyst firms are working diligently to distill trends and provide guidance for customers. Another analyst firm, EMA, recently wrote a white paper detailing how three enterprise-IT organizations used the ExtraHop system in just this way—to quickly triage application problems at L7 in real time—before referring to their NetScout packet-inspection tools to conduct deep-dive forensic look-back at L2–L4. The EMA white paper provides a practical view into how companies are acting on the strategies put forward in the Forrester report. By adding the ExtraHop system to their existing NetScout deployments, these IT organizations quickly and cost-effectively increased the value they provide to the business. For more detail, read the white paper, "The Benefits of Combining ExtraHop Networks with NetScout for Application Performance Management." We're glad to have been included in the new Forrester report, "Market Overview: Application Performance Management, Q4 2011," and appreciate the thoughtful analysis of the current APM market. The challenges facing IT Operations teams are daunting, and the need for more-robust APM technology is great—precisely why ExtraHop sees tremendous opportunity in the market. Want to find out more? 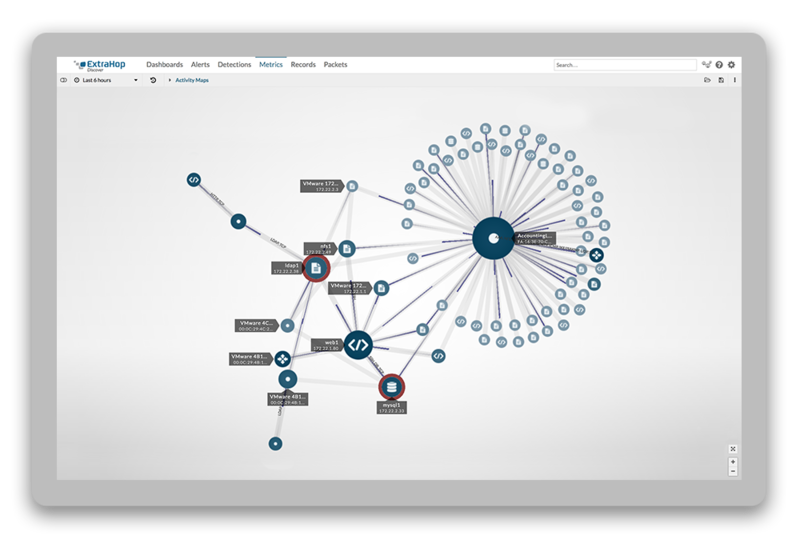 Watch the ExtraHop demo or try out the capabilities of the ExtraHop system with our free online packet analysis tool at www.networktimeout.com.